Abstract:Plan of Lot 39. Shows names of residents and acreage, bodies of water such as rivers, and bays, and division lines. 1 map: col.; 47 x 106 cm. Paper map on cloth backing. The paper is creased and cracked. Peeling off backing in places. Pieces of the paper map are missing, resulting in loss of data. 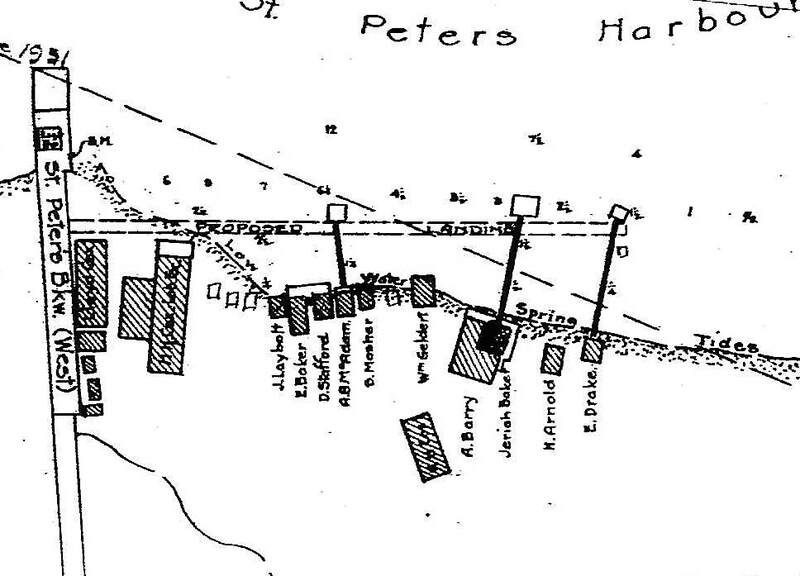 Plan of Lot 39. Shows names of residents and acreage, bodies of water such as rivers, and bays, and division lines. This material is provided for research, education, and private use only. For all other uses, please contact the Public Archives and Records Office of Prince Edward Island. All responsibilities for copyright are the responsibility of the user. There are no access restrictions on this content. 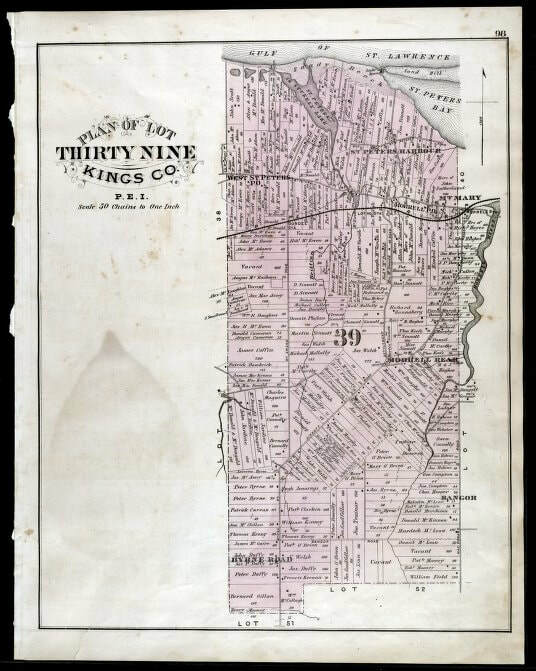 Plan of Lot Thirty Nine : : Kings Co., P.E.I. The map shows lot 39 in Kings county. 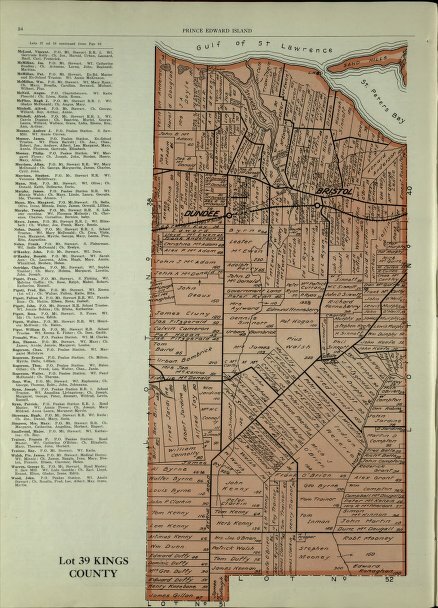 Shown are a gulf, lake, sand, light house, post offices, landowners and acreage, roads, railroads and stations, rivers, school houses, churches, and an Indian Reserve. Compass. This material is provided for research, education, and private use only. Restrictions on Access:There are no access restrictions on this content. Abstract:The map shows lot 39 in Kings county. 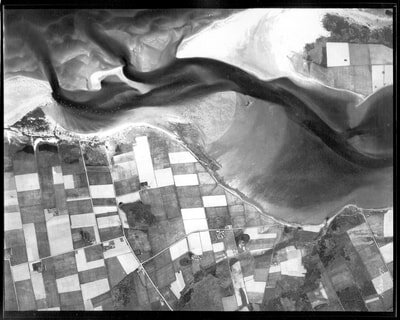 Shown are the Gulf of St. Lawrence, St. Peters bay, landowners, acreage, roads, railroads, Stukeley Ponds, and sands hills.